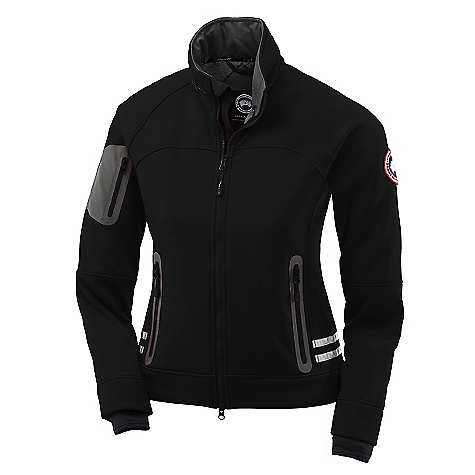 Visit Canada Goose's Women's	Tremblant Jacket page. 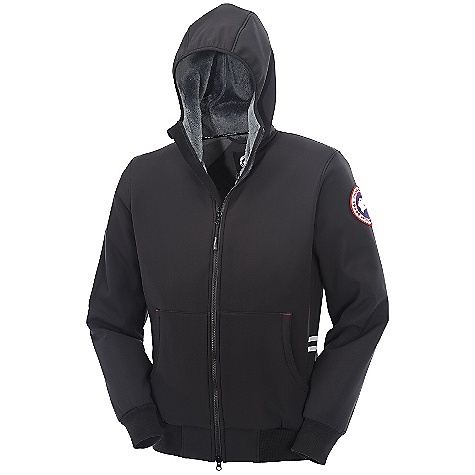 The Canada Goose Tremblant Jacket is made from Polartec Power Shield O2 fabric. 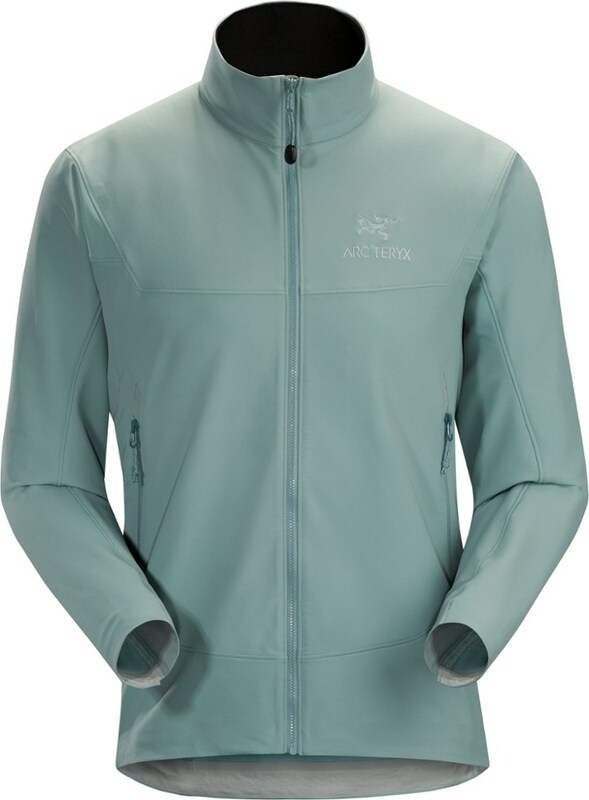 It blocks out 96% of wind while allowing 4% to circulate through the fabric for greater breathability. 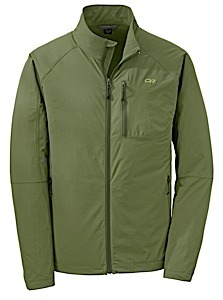 This jacket is thus ideal for outdoor, cool-weather sports as either a layering piece or on its own. 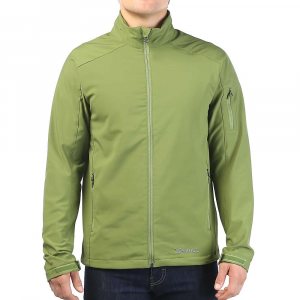 Your waterproof ski shell might say it's breathable, but at the end of a hike or a cross country ski tour you always feel sweaty and steamy on the inside -- that just-stepped-out-of-a-sauna feeling ends here with the Canada Goose Tremblant Jacket for men. 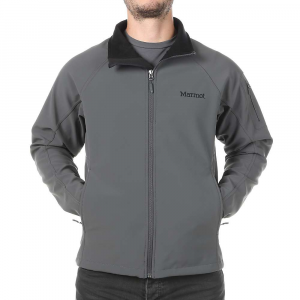 Made from highly breathable Polartec Power Shield O2 softshell fabric, this sleek cool-weather jacket blocks out 96% of wind while allowing interior moisture to escape. A DWR finish helps moisture bead up on its exterior, and a stow-away thin nylon hood rolls up inside the brushed tricot-lined collar when that wind is colder than you expected. Designed with a Slim Fit, this Canada Goose jacket cuts a sleek silhouette that allows for easy mobility and won't bulge out or get in your way. The cuffs are shaped for hand coverage and wrist articulation with Velcro tabs to seal in body heat, while multiple pockets including 2 handwarmers, an arm pocket, and an interior media pocket with a cord port, all give you plenty of storage for wallet, phone, and other essentials. Perfect for active adventures in cold weather, or an end of season evening on the patio when a down jacket is still too much, the Canada Goose Men's Tremblant Jacket will feel at home on the streets of Paris and New York, and performs amazingly on a hiking trail in the Rockies. Shell Fabric	 310 gsm, 80% Polyester / 20% Nylon Polartec® Power Shield® O² with wicking properties and treated with a DWR finish. 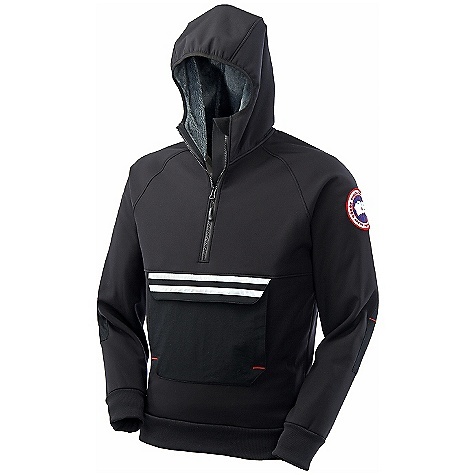 The Canada Goose Tremblant Jacket is not available from the stores we monitor. It was last seen November 19, 2013	at CampSaver.com.